So, today is the day to put up the tree. Ofcourse I haven't even put away the Fall Decor, but what the heh, I'll just totally trash the house and then put it back together after all the decorating is complete. 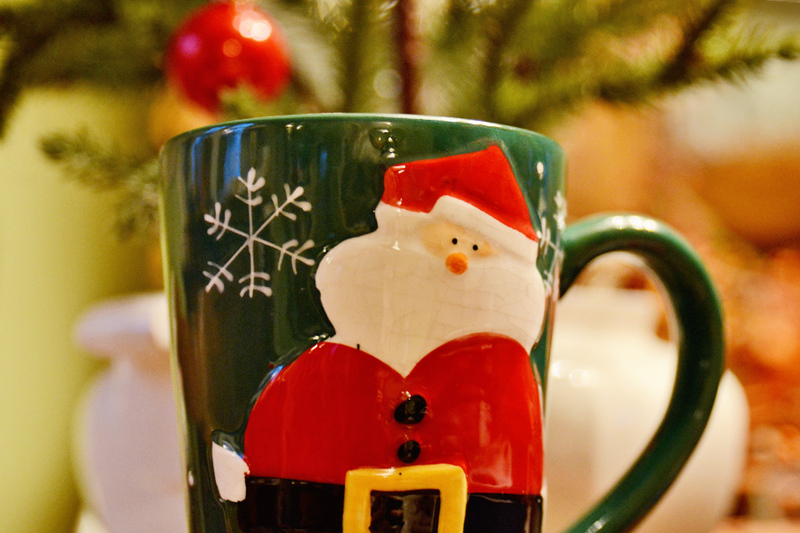 First things first, get the Christmas coffee cups out of storage and start drinking that morning cup of joe out of a festive cup. That will surely get me in that holiday decorating mood. I don't know about you, but coffee tastes better when served in a great cup. OK, after the coffee I brought the "new 700 light" tree in from the car, and set it up....way easy to do. The hardest part was finding the ends of the electric cords to plug them all in to light up all of those 700 lights. And then I had to practice the "bokeh" light shot. Didn't I tell you it had lots of lights. YIPPEE!! Then the decorating began....drag up the bins from the basement and begin the transformation. It's almost like magic, taking each of those precious, collected over the years, ornaments out of their packaging and placing them on the tree. Each one bringing back memories. Along with the ornaments I also use the dried hydrangeas from my garden. Each year, I just snip them off the bush, bring them in the house and pop them on the tree. 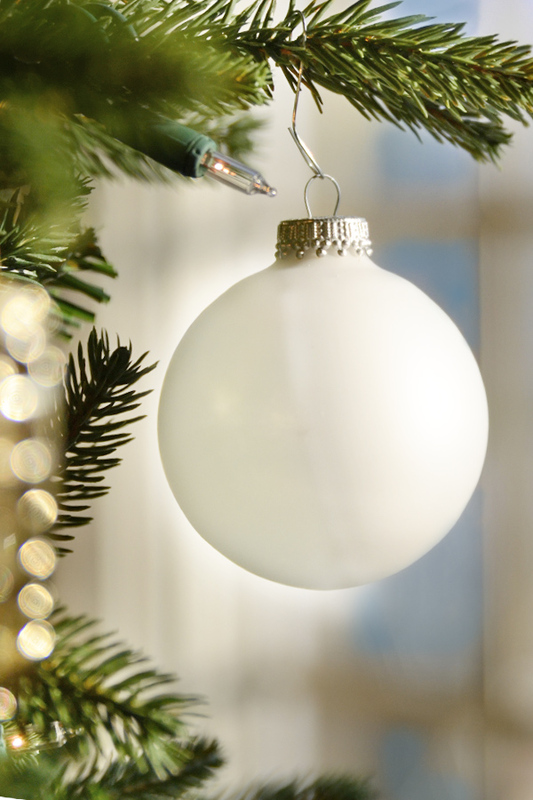 They are soft and pliable and easy to place on the tree. By the end of the season they have completely dried. And ofcourse in the middle of all this mess and me without make-up or hair combed, sweat-pants the dress, Marti brings a good friend by to say hi. Haven't seen Sue in almost a year, so it was a delight to see her...just not sure I was a delight for her eyes. How is your decorating?? Is it complete or are you still in the midst like I am? Today is my son's wedding anniversary...one year of wedded bliss. Happy Anniversary to Lane and Nelly. I need one of those trees!! I have to hand wrap them all again this year...I refuse to buy a tree if I don't love it and just haven't found one I love! So the little Charlie Brown tree it is again this year...but buy the time I'm done with it, it is lovely! Now to just get started! I love your Christmas banner! And that mug! Wowza!! We got a skinny, 700-bulb, prelit tree about three years ago. I love it! We had the tree up in under an hour. And no cussing. :-D Also love the way your hydrangeas look on the tree. Very pretty. 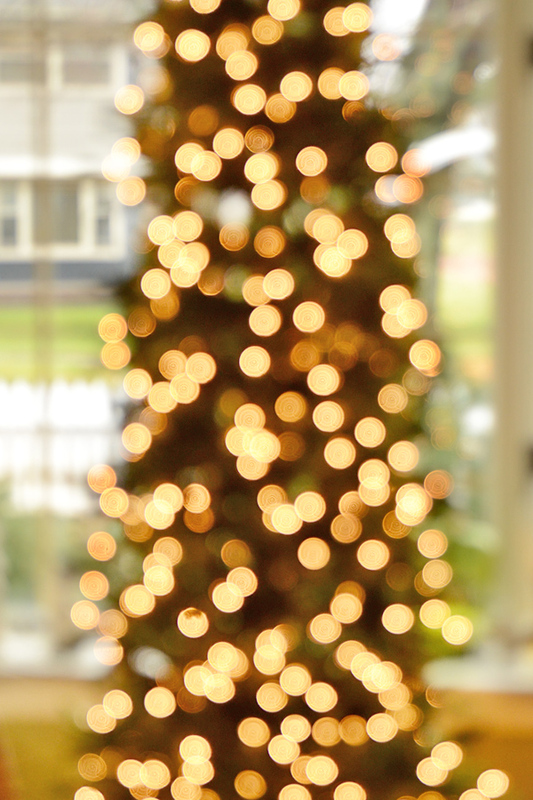 Your bokeh is amazing! I can't wait to get our tree up so I can get me some of that! Congrats on all your sales - your photography IS beautiful! We are very behind decorating. My tree has two strands if lights. That is only 200 lights. It is so pathetic I have to get to the store for more pronto. Oh, I was looking forward to this and it is all I'd hoped for! We decorated a little sparsely--I would love a tree like yours. Ours is not up because we will be gone and not have enough time to enjoy it. If we had a little smaller tree, we might put it up anyway. We have most of our favorite things up, though, and yes to the mugs! So pretty, Deanna!! So so pretty! I just put up my small collection of Chanukah decorations and I love how festive my apartment looks! Next the menorahs need to come out! Oh wow - absolutely love the new header and you are absolutely right, a good mug makes that morning java so much better. Enjoy the decorating. Looks so pretty so far. I have always got my decorating done in one day.. It was an all day and into the night project. This is the first year I haven't done it that way.. My tree has been up and decorated for a week now. Last night we put the lights and garland on the banister. And decorated the mantel to the fireplace.. To day I will tackle the curio cabinet. Still lots to do just doing it slow and easy this year.. Your photos look so pretty! I love that tree or better I love the 700 lights, beautiful shot. Love all your pics and I wish I could handle my camera as well as you do. Sometimes I get frustrated, but I think it is, practice, practice, practice a lot for me. On photography you are my inspiration. I think I am done with decorating for now. I do have some gifts to put together to send out in the mail and all of the shopping still to do. I'll get there. Going slow and easy. It looks wonderful Deanna!! I love the bokeh shot! 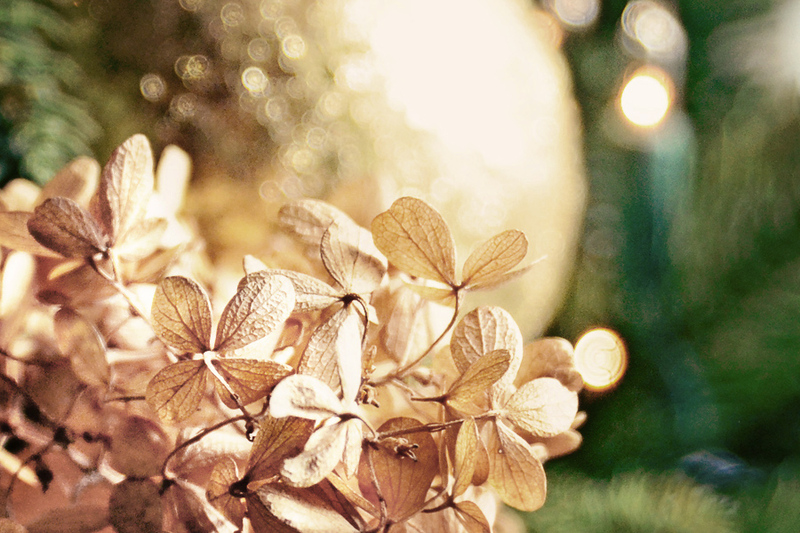 First of all, your new Christmas blog header is beautiful. It was a nice surprise to open it and see all of that red! 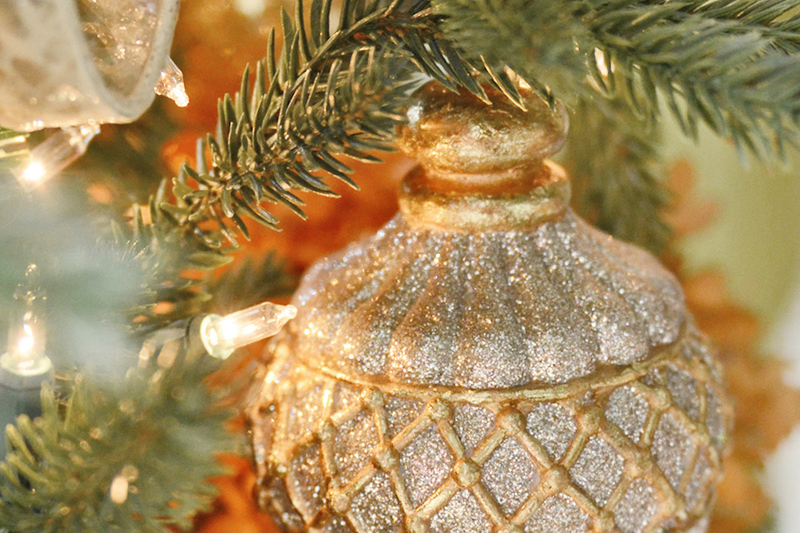 Your tree looks like in a dream, all golden and sparkly, and well, Christmasy! And from your previous post about selling your work - congratulations! I am so glad that more people get to see your beautiful work. Thanks for sharing!